David and I landed back in New Hampshire yesterday afternoon, after a week away. Having been in Tennessee, we were used to fully leafed out trees and flowering azaleas and roses and peonies. But coming home to a week’s worth of bud growth on the trees here, the growing grass, the violets popping up in my yard and garden, was a welcome scene. Trees are like grand flowers in NH this time of year, as their buds break into catkins and furry pods of unfurling leaves, blurring the landscape with red and gold. I wrote this poem about 15 years ago, but still remember it every year at this point in the season. I don’t inhabit my skin. branch tips tinting the horizon. then feeding that soil when dead. 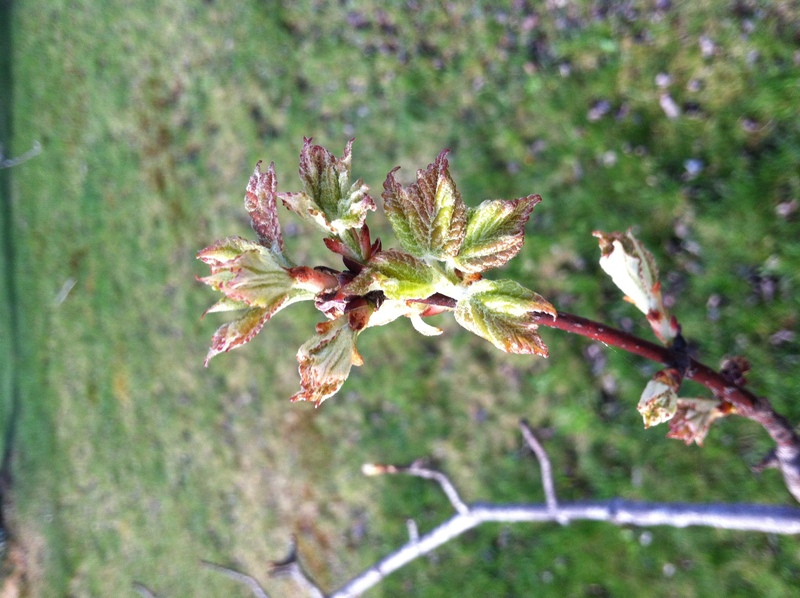 of leaf buds splitting open to green.